The goodness of almonds dry roasted with no additives! A delicious alternative to peanut butter. a wonderful product. consistently delicious. I love this almond butter, organic, pure, nothing but almonds. As well as spreading it on toast and ryvita / wasa crackers, I love to spread it on bananas and pears. Love this almond butter - buy it from Well all the time - even though I can make my own, it is great when I do not have the time too and it works perfect as a nice gift to give friends and family. Simply the best, simply because it's made from roasted almonds and nothing else. I've tried others and always came back. 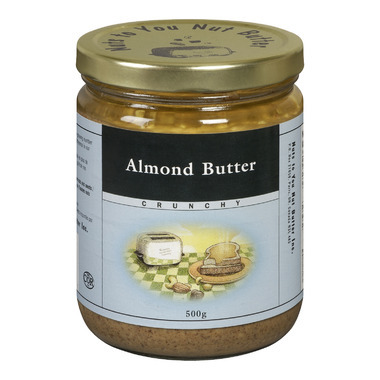 This product has a high viscosity compared to most "just nut" butters. Almond Butter on a caramel rice cake is my favourite snack. Love Nuts to You Almond Butter - the only brand I buy if I don't have time to make myself!